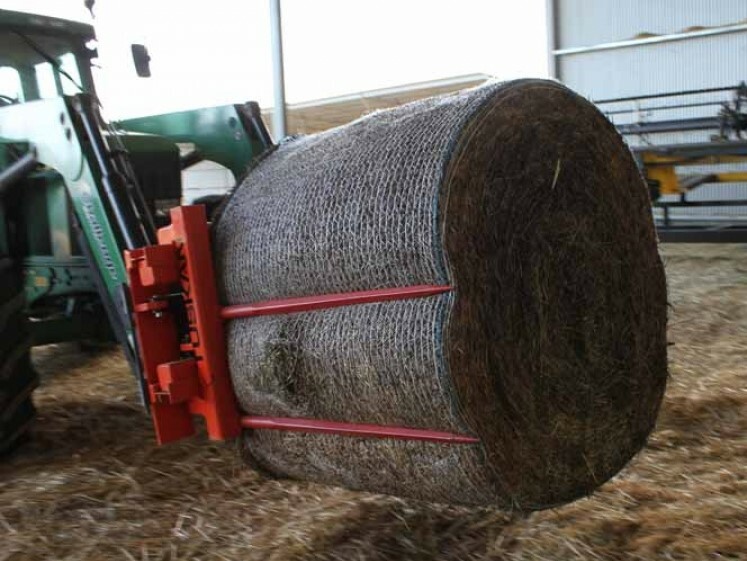 Bale Tying and Packaging Made Easy: Tuskan Hay Bale Prong Simplifies Both Square and Round Bale Management. When it comes to managing and packaging hay bales for your farm, few things are more irritating than a broken string at the wrong moment. If the strings come undone, especially on a square bale, your hay bales can easily loose shape or form as they lay in storage waiting for you to put them to use. 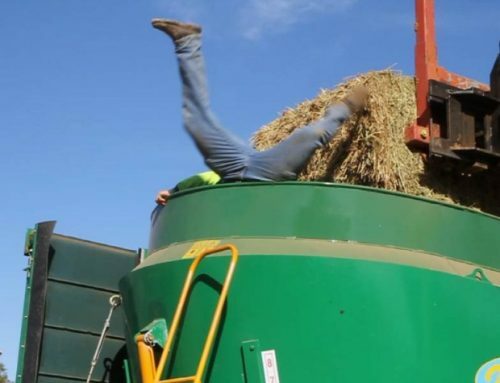 This can cause issues later when you try to transport the bale to a mixer or grinder for feed preparation. Quite simply, if you break a string during the hay bale storage process, you are going to want to make sure to replace or re-tie it as soon as possible, something that is easier said than done. 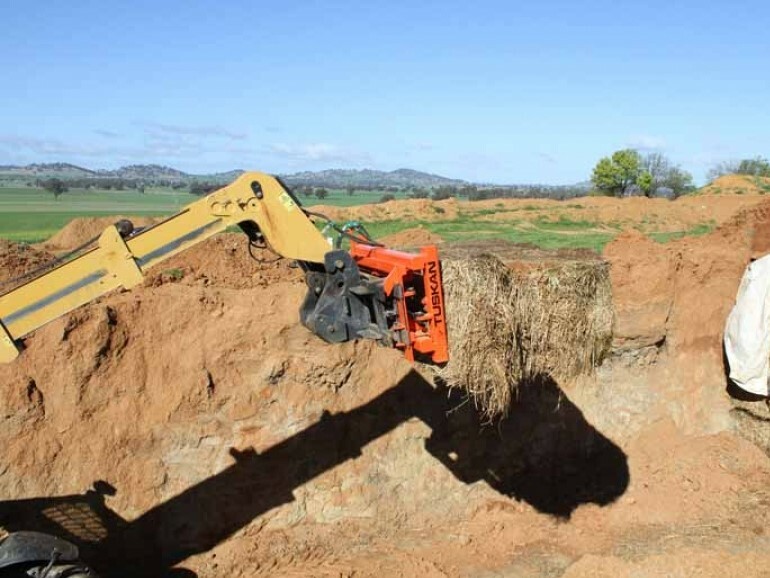 The Tuskan hay bale prong offers a solution to this problem, as well as to many others with relation to hay bale management. 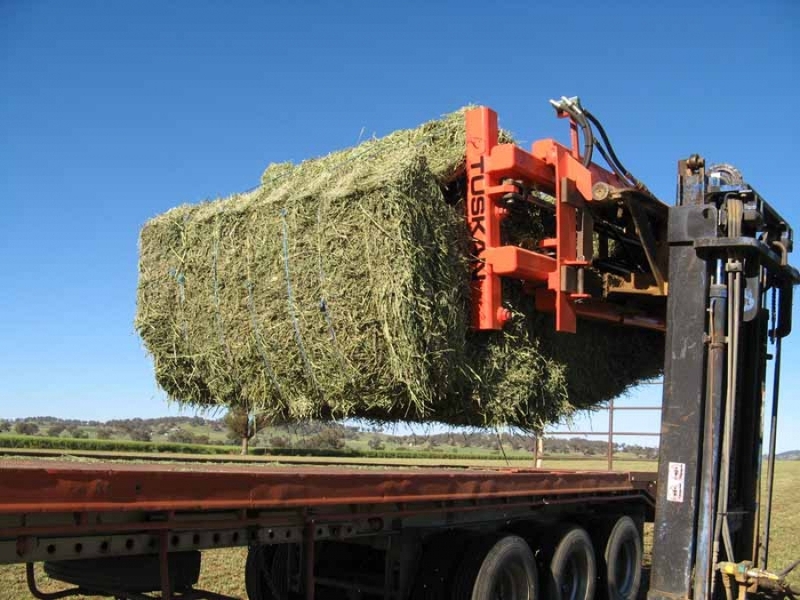 Usually, retying a string on a hay bale is a challenge due to the amount of pressure the strings are taking to keep a hay bale in a compact and easy-to-manage shape. If a string busts in the middle of a square bale, you will have enough trouble trying to make the broken tips meet, let alone trying to get enough slack to tie a good knot. This is where the Tuskan bale prong comes into the equation. 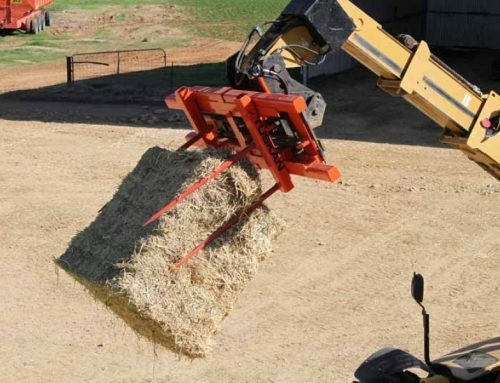 Using hydraulic arms that can adjust to nearly any size of bale—from three to nine feet in width, to be exact—the Tuskan hay bale prong is primarily designed for lifting and transporting bales, but can be equally useful for tying or retying strings for storage purposes. By simply using its hydraulic arms to compact a stubborn hay bale, farmers can use the Tuskan hay bale prong to create the string slack necessary to tie a broken string. 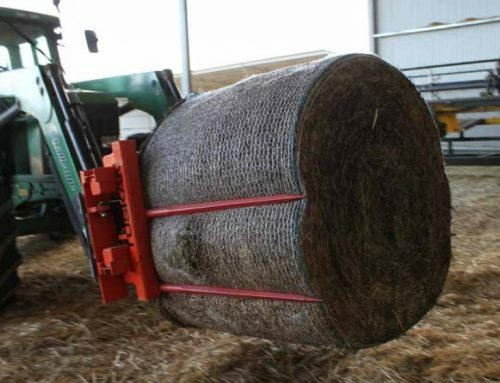 Once the bale prong releases, a good knot will still hold just fine, allowing you to package and store your hay bales effectively for later use. Whether your farm uses smaller square bales or towering round bales of hay, the Tuskan bale prong is a revolutionary piece of equipment that can make moving them around the farm easier than ever before. Most bale-moving solutions rely on a ‘bale fork,’ which stabs into your hay and carries it on a spike of sorts. This method is neither stable nor efficient, as it requires the farmer to remove the hay from the fork by hand and can easily break the strings or wrapping that is holding the hay bale together. The Tuskan uses its hydraulic arms to firmly grasp bales and lift them up in an efficient, safe and user-friendly fashion. 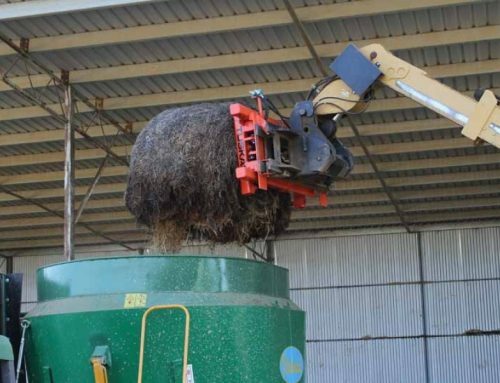 Whether you need it to be a round bale prong, a square bale prong or a compactor for retying string, the Tuskan is a unique and unrivalled solution for the farming world. Moreover, thanks to the Tuskan’s recent patent, you won’t find anything like it from anywhere else.